Over Thanksgiving, while everyone’s mind and stomach was on turkey (which I love), I was thinking about ham. I don’t remember why, but as I was stuffing myself on turkey, I was thinking about how I really needed to make a ham when I got home. So I stopped by the butcher and bought a rather ginormous considering that I was cooking for a family of four. Then I realized that I really didn’t have the time to make a ham. I was working the afternoon that day and Dude had piano lessons after school and the next night the boys had gymnastics and I worked all day. Alas! So I decided to toss the ham in the crockpot! And since it was ginormous, it almost didn’t fit! Eek! Anyhow, as I poked around online, I found that many recipes call for loads of brown sugar or honey or spiral cut hams for this preparation. I only wanted a hint of sweetness, plus I know that my butcher smokes an amazing ham, so it didn’t need all that extra sugar. I also found that since smoked hams are usually fully cooked, they need only be heated to 140 degrees F to be read for consumption. Luckily, my large crockpot has a temperature probe, so I set the crockpot to high and told it to turn to warm once the ham reached 140! When I got home 4 hours later, I was met with a ham cooked to perfection. 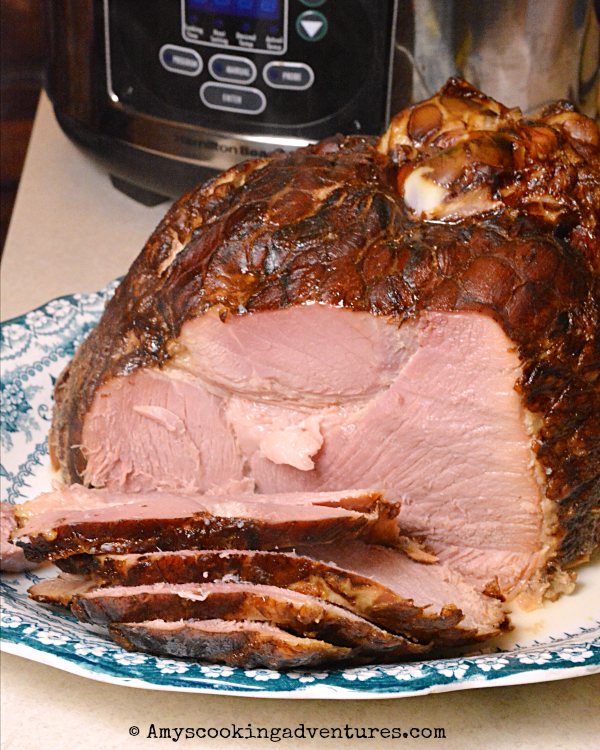 It was so juicy and perfect – it is officially my favorite way to cook a ham! Place the brown sugar and water in the bottom of a large crockpot. Place the ham, cut side down, on the crockpot. Cover and cook on HIGH for 4-5 hours or until the ham reaches an internal temperature of 140 degrees F.
Remove the ham form the crockpot. Allow it to rest at least 5 minutes before slicing and serving. 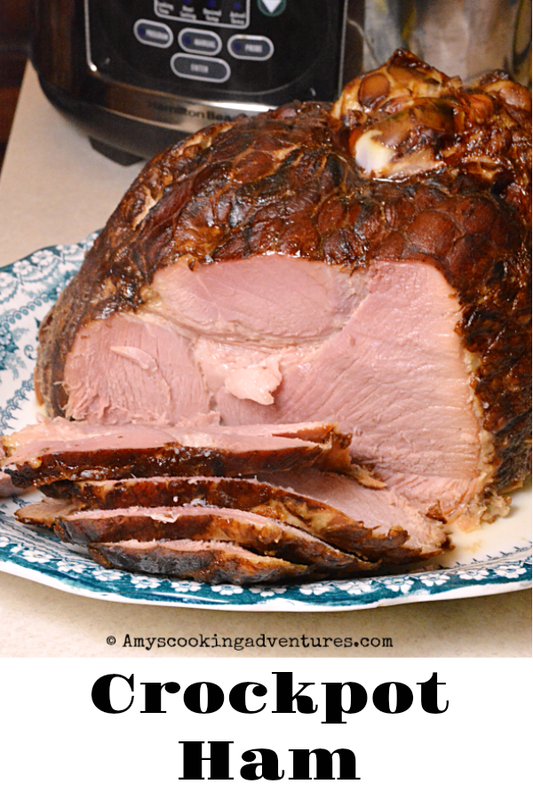 Crockpot Ham is easy plus it is so juicy & delicious! 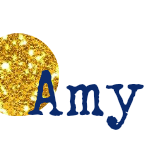 Perfect for Christmas, Easter, or Sunday Dinner! Place the brown sugar and water in the bottom of a large crockpot. Place the ham, cut side down, on the crockpot. Cover and cook on HIGH for 4-5 hours or until the ham reaches an internal temperature of 140 degrees F. Remove the ham form the crockpot. Allow it to rest at least 5 minutes before slicing and serving.